While many Jeep Wrangler owners decided to purchase this type or rugged vehicle because of its iconic style, its overall dependability and durability may have also been considered. Regardless of the model year that you own, your Wrangler has been designed to withstand considerable use in a wide range of strenuous situations. However, there may come a time when you need to find trusted source for Jeep Wrangler repair in Boulder. For any type of Jeep auto repair services, reach out to our team at Pollard Jeep serving Boulder, Loveland, Longmont for exceptional workmanship and fast results. Repairing your damaged Jeep Wrangler is not a matter to take lightly. You understandably may plan to continue driving your Wrangler for many additional years. You need all signs of damage erased, and you also need the mechanical components and other major parts and equipment repaired with excellent workmanship. After all, you want your repaired Wrangler to be just as durable and reliable as it was before the damage occurred. We are your trusted and dependable source for quality Jeep Wrangler repair in Boulder, and we can quickly and expertly address any type of damage that you are dealing with today. From a minor fender bender to a complete mechanical breakdown, there is no project that is outside of our abilities. When you take your Wrangler to other service centers in Boulder Colorado, you never know who will be repairing the damage or what their qualifications are. This is not the case when you turn to Pollard Jeep serving Boulder, Loveland, Longmont for quality repair work. All auto repair projects completed in our service center are handled by our team of carefully-selected and certified auto technicians. These are professionals who have substantial training and experience, and they know how to correctly repair any type of damage that may be impacting your Wrangler today. More than that, we only hire hardworking and dependable professionals who are focused on doing quality work at all times. We understand how important your Wrangler is to your daily life, and you can count on us to provide superior workmanship while also working efficiently to get you back on the road soon. Our auto repair team understands that there are two equally important aspects to quality automotive services. The parts that are used to complete Jeep Wrangler repair work are just as important as the skills of the technician. If shoddy replacement parts are used, the condition of your Wrangler will be diminished. You may notice reduced fuel economy and performance. Perhaps it may breakdown again very soon. These are only some of the possibilities that you may deal with when your repair technicians use low-quality parts. Unfortunately, some service centers that offer Jeep Wrangler repair in Boulder use aftermarket parts. These are parts that have questionable quality and longevity. At our auto shop serving Boulder, Loveland, Longmont, we never take chances. To ensure your satisfaction and to promote the highest-quality results from our efforts, we exclusively use OEM parts. OEM parts are produced by the same companies that Jeep trusted to make your Wrangler’s original parts. More than that, OEM parts are produced specifically for your vehicle, so you can feel confident that they fit appropriately and work well with the other components in your vehicle. While we are your trusted source for quality work on any type of Jeep Wrangler repair service needed, we also provided fast results for maintenance services. As a convenience to you, we are equipped to complete all maintenance work that your Wrangler needs under one roof. Rather than taking time out of your week to drive your vehicle to several service centers, you only need to bring it to use to tackle all current maintenance needs. We can assist you in following the automotive manufacturer’s recommended maintenance plan, and we can make recommendations that are specific to your vehicle based on usage and other factors. Some of the many maintenance services available through our Jeep center include tire rotations and replacements, brake pad replacements, oil changes, wiper replacements and more. Through regular maintenance, you may minimize related repair issues going forward. This can help you to avoid stressful breakdowns and keep repair costs to a minimum. We accept walk-ins for Wrangler maintenance and repair work, but we recommend that you make an advance appointment with us. 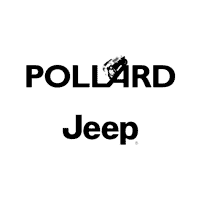 You can easily call Pollard Jeep today to request an appointment for the work that is needed on your Wrangler, or you can schedule service online. By taking this important step, you can enjoy expedited service when you arrive. We are eager to begin working on your Wrangler, so contact us now for an appointment.